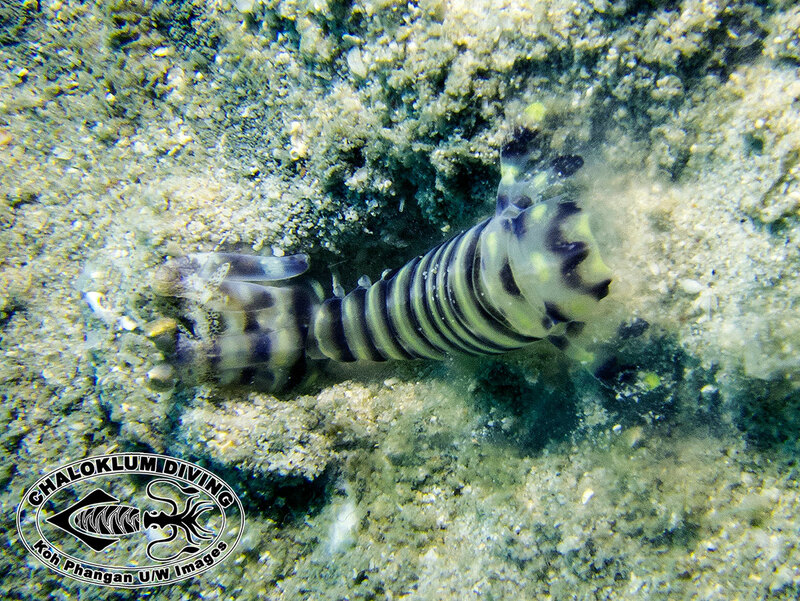 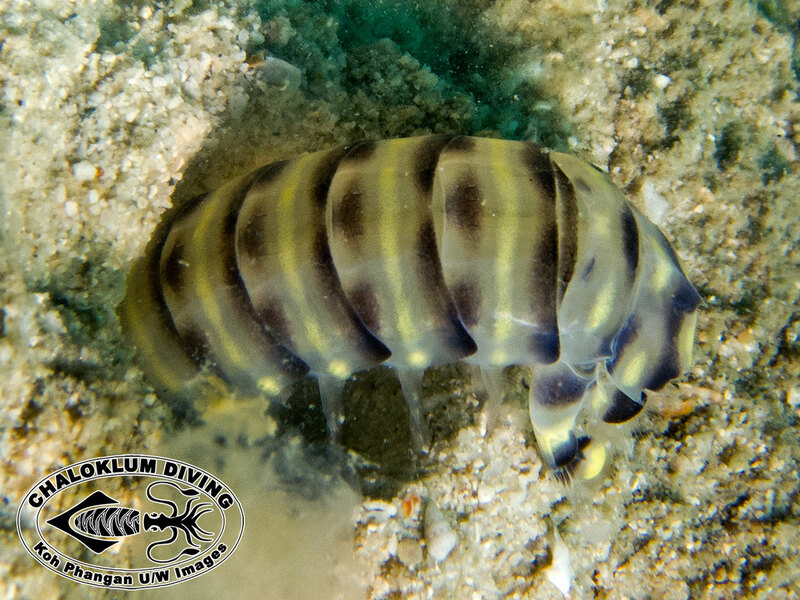 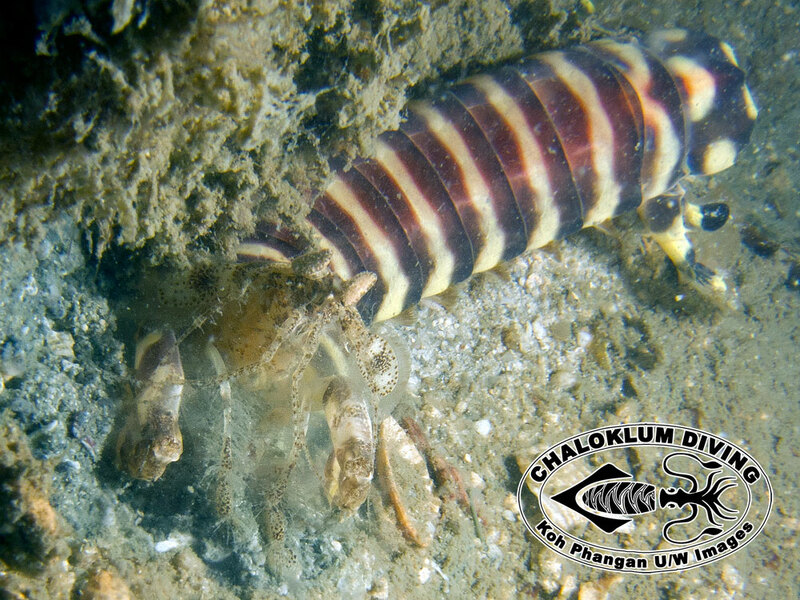 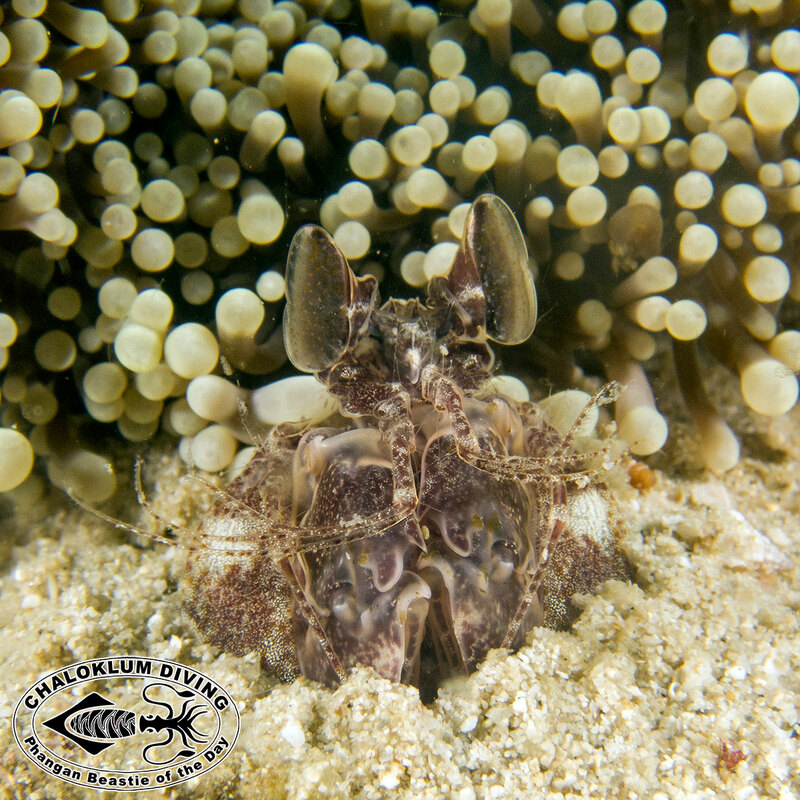 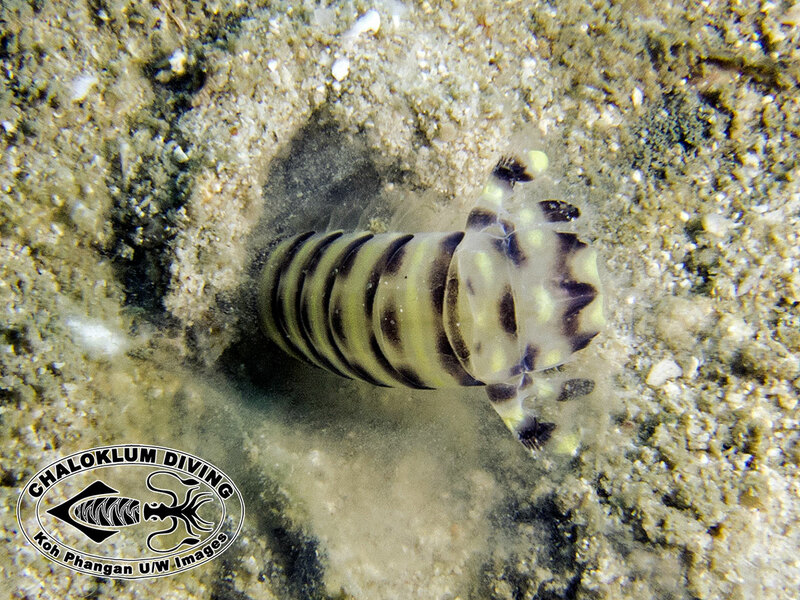 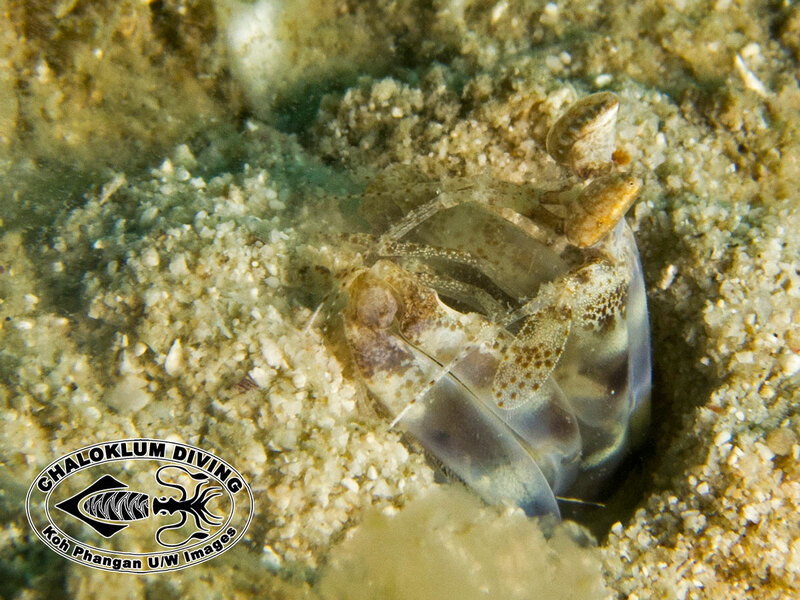 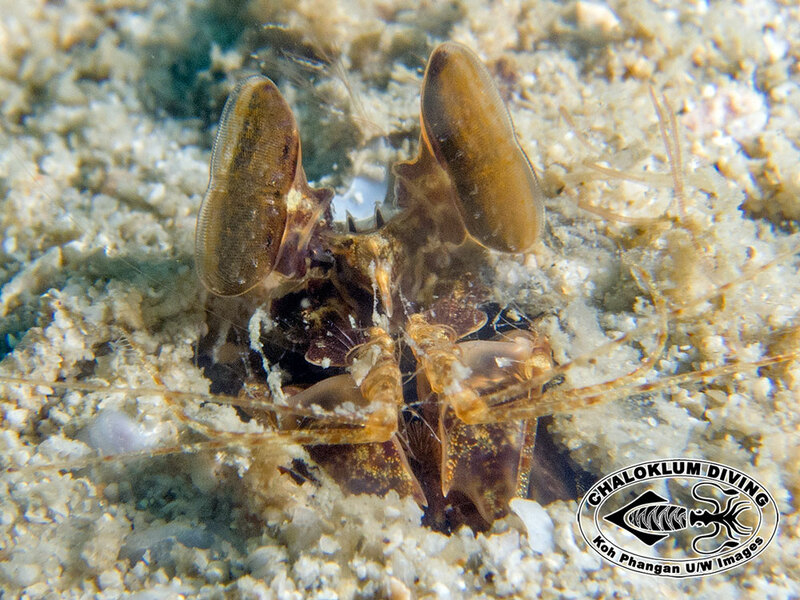 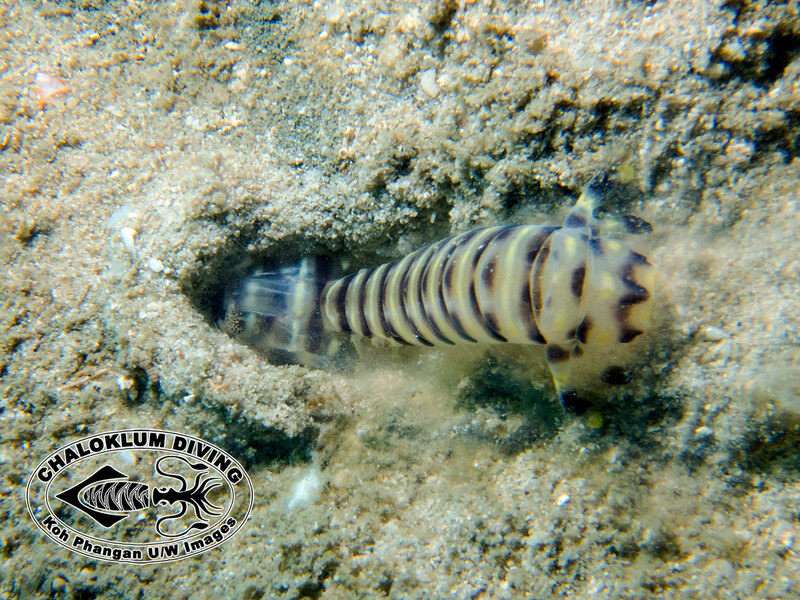 The spearing mantis shrimp is reasonably common in the waters around Koh Phangan. 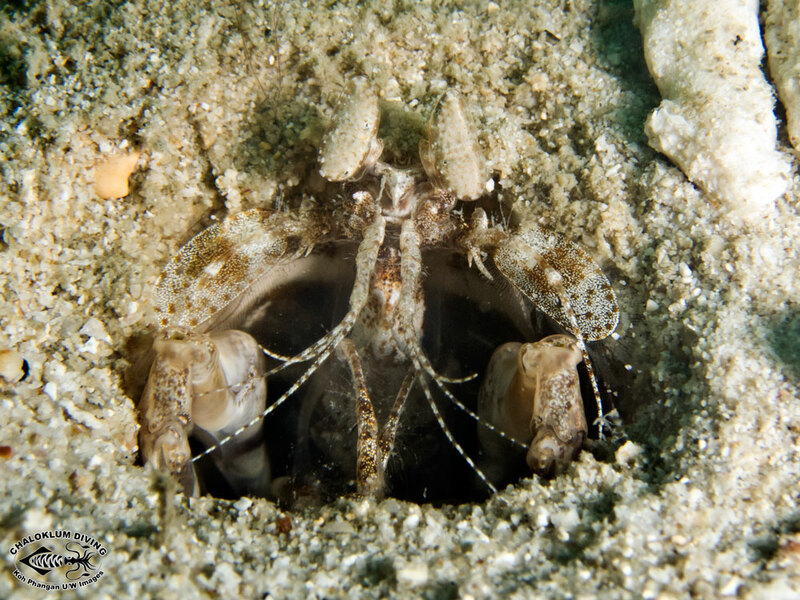 They are cautious creatures so it’s only calm, slow, observant divers who spot their eyes poking out of the sand. 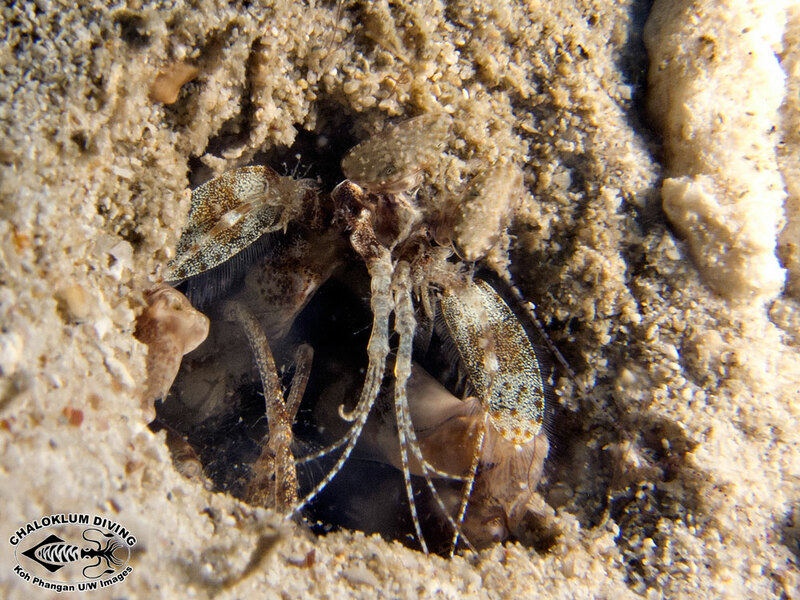 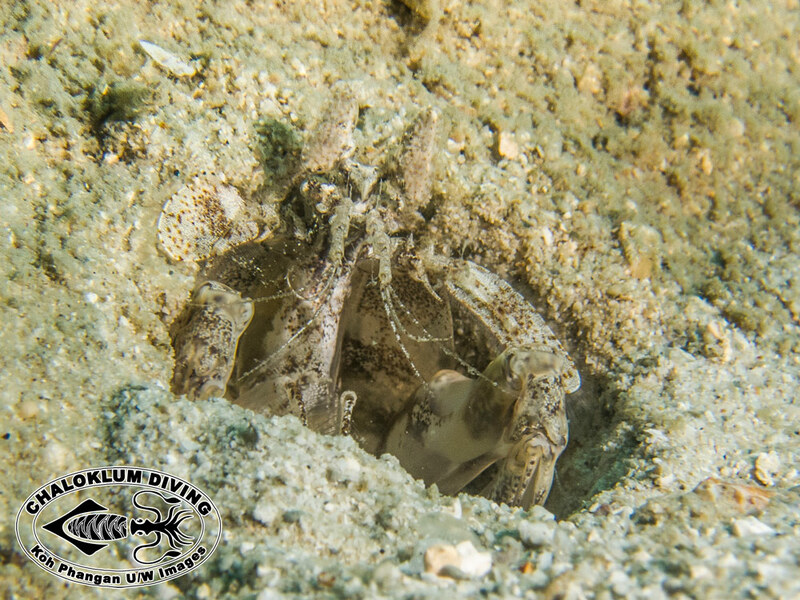 It was years until we had a chance to photograph these mantis shrimps out of their burrows – in both cases they were digging a new one.